The Second Sunday after the Epiphany is of semi-double rite and its liturgical colour is green. 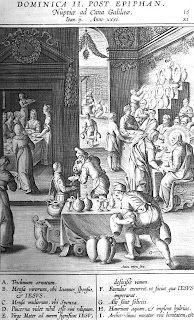 The Gospel fragment at Mattins and the Gospel at Mass are St. John's account of the Marriage Feast at Cana. 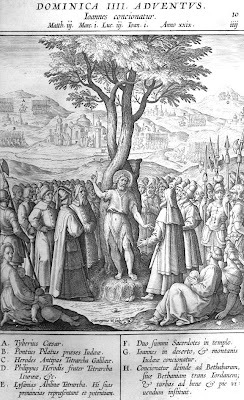 The semi-double feast of St. Marcellus is transferred to Wednesday. At Vespers yesterday afternoon the antiphons Ante luciferum genitus etc were sung, not doubled, with Pss. 109, 110, 111, 112 & 113. The chapter, Fratres: Obsecro vos, was proper to the Sunday. The Office hymn was Hostis Herodes impie. After the collect of the Sunday within the Octave a commemorations was sung of the Octave of the Epiphany (the antiphon on the Magnificat being proper to the third day within the Octave, the 8th January, Lux de luce. The Suffrages were omitted. At Compline Te lucis was sung with the Doxology Gloria tibi Domine, Qui apparuisti hodie etc as are the hymns of the Hours tomorrow. At Lauds the antiphons from the feast, Ante luciferum genitus etc are sung with the festal psalms (Pss. 92, 99, 62-66, Benedicite, 148-149-150). The chapter is proper to the Sunday, as sung at Vespers yesterday, and the Office hymn is O Sola magnarum urbium. After the collect of the Sunday a commemoration is sung of the Octave, the antiphon on the Benedictus is Vidimus stellam ejus etc., proper to the 9th January. At Vespers the antiphons Ante luciferum genitus etc are again sung with psalms 109, 110, 111, 112 & 113. The Office hymn is Hostis Herodes impie. 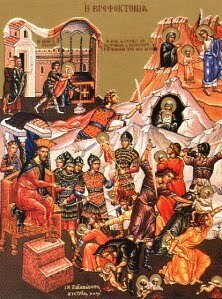 After the collect of the Sunday a commemoration of the Octave is sung, the antiphon on the Magnificat being proper to the 9th January, Interogabat. The Suffrages are omitted as are the Domincal preces at Compline. The Vigil of the Epiphany is of semi-double rite and its liturgical colour, from Mattins, is white. In the Tridentine Missal, and its reformed editions until 1956, the Vigil of the Epiphany takes the place of the Office of the Sunday which occurs between the 1st to 5th January and has all the privileges of a Sunday. Pre-Trent praxis sees a differentiation between the second Sunday after the Nativity of the LORD and the Vigil. The liturgical rank of the Comities Christi Octave Days meant the Sunday was perpetually outranked and had to be resumed on the 5th January. When January 5th falls on a Sunday the Creed is sung at Mass. 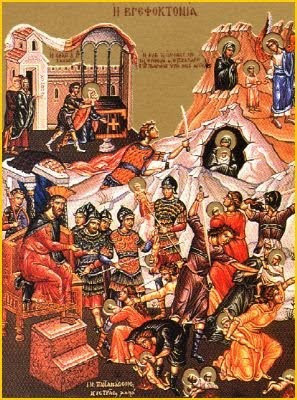 The Octave Day of St. Stephen the Protomartyr is of double rite and its liturgical colour is red. 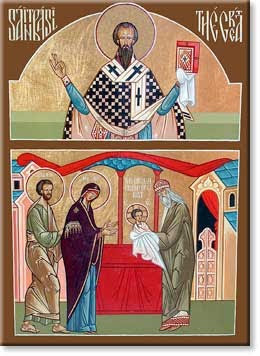 The feast of the Circumcision of the LORD and Octave Day of the Nativity is of double rite and its liturgical colour is white. 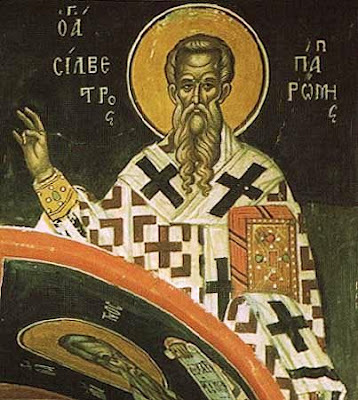 The feast of St. Sylvester I Pope and Confessor is of double rite and its liturgical colour is white. The texts for the Office are taken largely from the Common of Confessor-bishops. Mass is sung after Terce. The Mass formulary is Dum medium etc. The Gloria is sung, the second collect is of the Octave of the Nativity, the third collect of the Octave of St. Stephen, the fourth collect of the Octave of St. John and the fifth collect of the Octave of the Holy Innocents. The Creed is sung and the preface and communicantes are of the Nativity. The hymns of the Hours are sung with the Doxology of the Incarnation and the antiphons of Lauds are used in the usual order. At Prime (Pss. 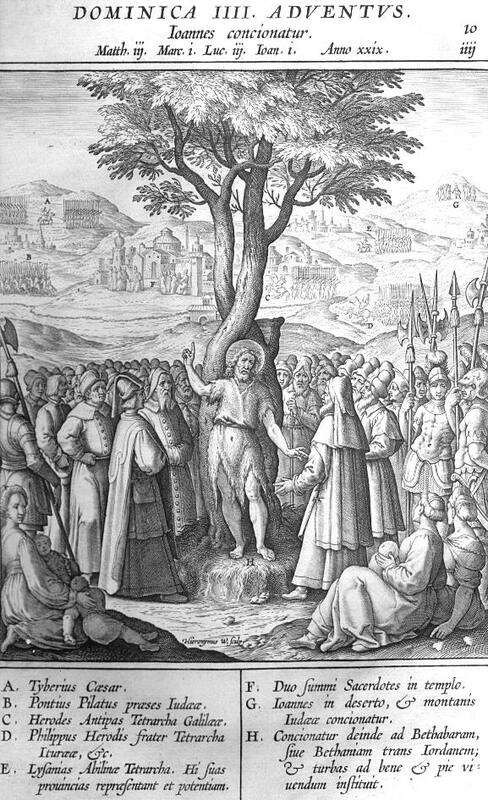 53, 118i & 118ii) the lectio brevis is Justus cor suum. At Vespers there is a colour change to white. 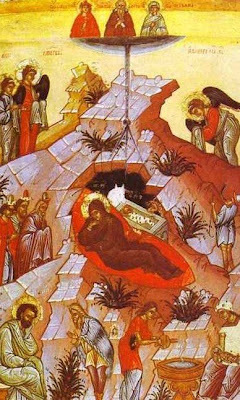 The antiphons, not doubled, and psalms are of the Octave of the Nativity but from the chapter are of the Sunday within the Octave of the Nativity. The Office hymn is Christe Redemptor omnium. After the collect of the Sunday commemorations are sung of St. Thomas, the Octave of the Nativity, the Octave of St. Stephen, the Octave of St. John and the Octave of the Holy Innocents. At Compline the Dominical preces are omitted being within Octaves. The feast of the Holy Innocents is of double rank with Octave. The liturgical colour of the day is violet (unless the feast falls upon a Sunday in which case it is red). Vespers are of the Nativity, but from the chapter of the Holy Innocents with a commemoration of the following feast of St. Thomas of Canterbury, and of the Octave of the Nativity, the Octave of St. Stephen and the Octave of St. John. The feast of St. Stephen the Protomartyr is a double feast with an Octave. The liturgical colour of the day is red. 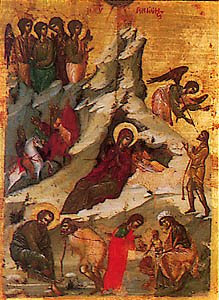 Many saints, originally more than now, were celebrated around the Nativity of the LORD. These were described as the 'comites Christi' . e.g. St. James the Lesser and King David. In 'modern' calendars we are left with St. Stephen, St. John the Evangelist, and the Holy Innocents. 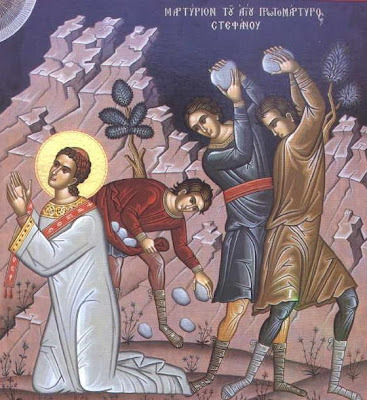 Yesterday a commemoration of St. Stephen was sung at Second Vespers of the Nativity. The feast takes complete precedence over the Sunday which is transferred to after the comites Christi feasts. Mattins has a single nocturn of three lessons, preceded, where it is of observed, by Mattins and Lauds of the BVM. The invitatory is Hodie scietis quia veniet Dominus, Ex mane videbitis gloriam ejus and the hymn is Verbum supernum prodiens. The antiphons Ut non delinquam etc are sung with psalms 80, 81, 82, 83, 84, 85, 86, 87, 88, 93, 95 & 96 from the Psalter for Friday. After the last antiphon a versicle proper to the day, Hodie scietis, quia veniet Dominus, and its respond, Et mane videbitis gloriam ejus are sung. 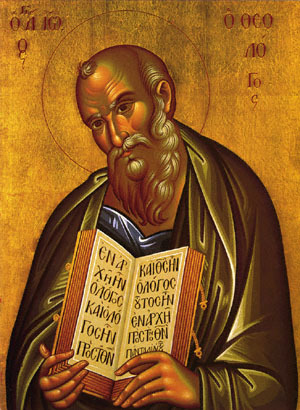 The homily is taken from St. Jerome's commentary on the first chapter of St. Matthew's Gospel. The first lesson consists of the text of both the first and second lessons in the post-Clementine books. The second lesson is the same as the modern third lesson. 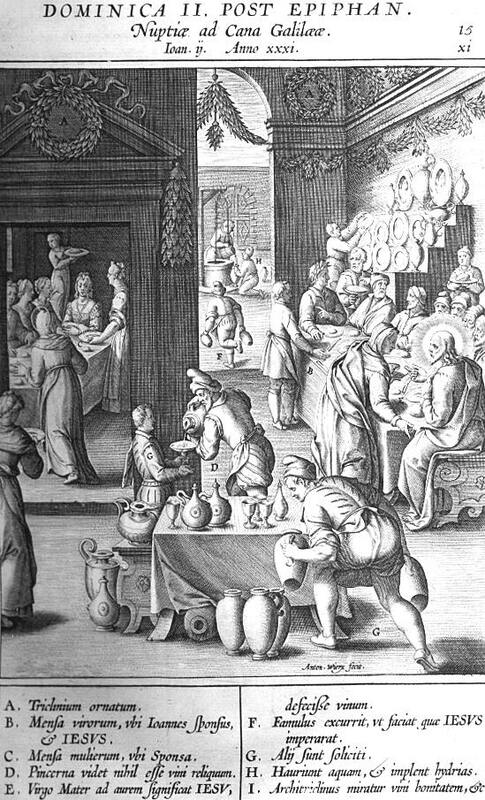 The third lesson, Joseph fili David noli timere (...) salvum faciet populum suum, is entirely absent from the post-Clementine books. A third responsory is sung in place of the Te Deum. At Lauds the antiphons, Judaea et Jerusalem nolite timere etc (sung under double rite), are proper to the day and are sung with the psalms of Sunday (92, 99, 62-66, Benedicite and 148-149-150. The Office hymn is Vox clara ecce intonat. The V & R, chapter, antiphon on the Benedictus, and collect are proper to the Vigil. The ferial preces are not sung. As the Office is now of double rite the Officium Parvum is not celebrated. Today is Thursday in the fourth week of Advent and is of simple rite. At Mattins in the nocturn psalms 68, 69, 70, 71, 72, 73, 74, 75, 76, 77, 78 & 79 are sung under the six antiphons appointed for Thursdays. The lessons are from the Prophet Isaiah. 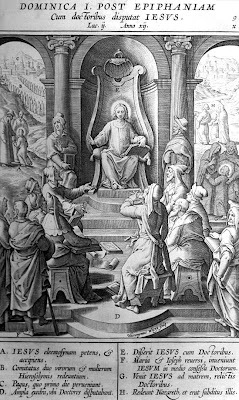 The third lesson is extended by the inclusion of v. 12, the last verse of chapter 64, which is omitted in the later editions. At Lauds the ferial psalms are sung: 50, 89, 62-66, Cantemus Domino & 148-149-150. These are sung under the antiphons De Sion etc for the Thursday before the Vigil of the Nativity. The antiphon on the Benedictus is proper to the day Ecce completa sunt omnia, quae dicta sunt per Angelum de Virgine Maria. The ferial preces are sung, kneeling, with the psalm De profundis. At Prime the first antiphon of Lauds is sung, the psalmody is 53, 21, 118(i) & 118(ii). The ferial preces are sung, again kneeling, at all the Hours. The antiphons from Lauds are sung with the other Hours in due order. Mass is sung after None. The ministers wear folded chasubles. The Mass of the Fourth Sunday of Advent is sung but without the Alleluia and its verse. The Gloria is not sung, the second collect is Deus, qui de beatae and third for the Church, Ecclesiae. The dismissal is Benedicamus Domino, sung by the Deacon facing the altar. At ferial Vespers psalms 131, 132, 134, 135 & 136 are sung. The Office hymn is Conditor alme siderum , sung for the last time this year. The antiphon on the Magnificat is the last of the Great 'O's O Emmanuel and is sung, standing, in its entirety both before and after the canticle. The ferial preces are then sung kneeling including the psalm Miserere mei Deus. At Compline the preces are sung kneeling. In addition to the Office of the day the Little Office of the Blessed Virgin is also sung in the usual manner: Mattins and Lauds before Mattins and Lauds of the day; Prime interpolated into Prime of the day after the chapter, the Hours of the BVM after the Hours of day and Vespers of the BVM before Vespers of the day. At Vespers yesterday afternoon the antiphons Hoc est praeceptum meum etc were sung with psalms 109, 110, 111, 112 & 116. The Office hymn was Exsultet caelum laudibus. The antiphon on the Magnificat was proper to the feast, Quia vidisti me etc. After the collect of the Advent feria was commemorated with the Great 'O' Antiphon appointed for the 20th December, O clavis David. At Compline the preces were omitted. At Lauds the antiphons Hoc est praeceptum meum etc are sung with Pss.92, 99, 62-66, Benedicite & 148-149-150. 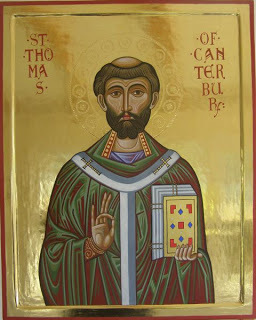 The antiphon on the Benedictus, Quia vidisti me, Thoma, credidisti: beati, qui non viderunt, et crediderunt, alleluia, is proper to the feast and refers to the incident recorded in the Gospel of St. John about St. Thomas' doubt in the Risen LORD. A commemoration is then made of the Advent feria, the antiphon on the Benedictus being Nolite timere etc proper to the 21st day of December. At Vespers yesterday afternoon the antiphons and Psalms of Saturday (Pss. 143, 144, 145, 146 & 147) were sung. The Office hymn was Conditor alme siderum. The Great 'O' Antiphon O Adonai, proper to the 18th of December, was sung entire both before and after the Magnificat. 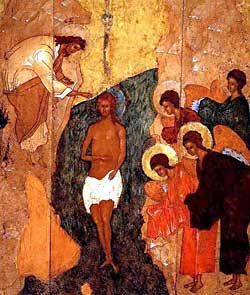 The Suffrages, being Advent, were omitted. At Compline the Dominical preces were sung. At Vespers the antiphons Canite tuba in Sion etc are again sung now with Pss. 109, 110, 111, 112 & 113. The Office hymn is Conditor alme siderum. The Great 'O' antiphon on the Magnificat is O radix Jesse. The Suffrages are omitted. After Benedicamus Domino and its response Vespers of the Dead are sung. At Compline the Dominical preces are omitted.